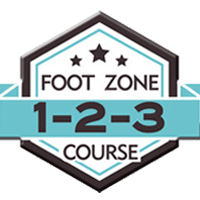 The Foot Zone 1-2-3 course is a weekend course. The course includes training, books and online resources. To view upcoming courses and to reserve your spot, click the button below.